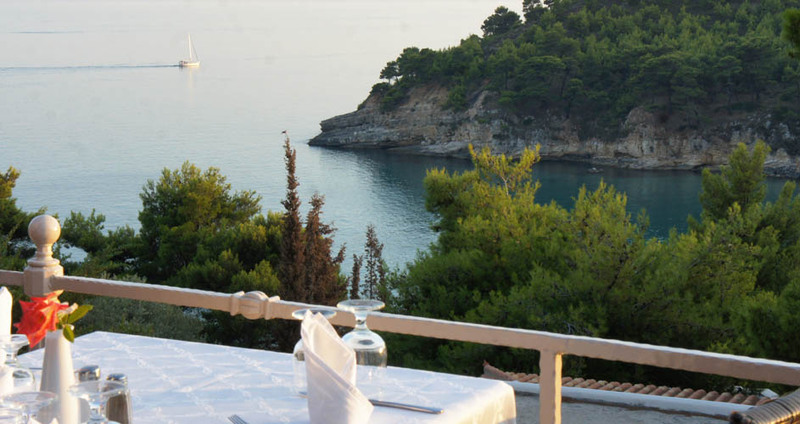 The 4-star hotel “Alonissos Beach” Right is situated on its private beach area of Chrisi Milia and features elegant accommodation, an outdoor pool and tennis court, amidst lush greenery. 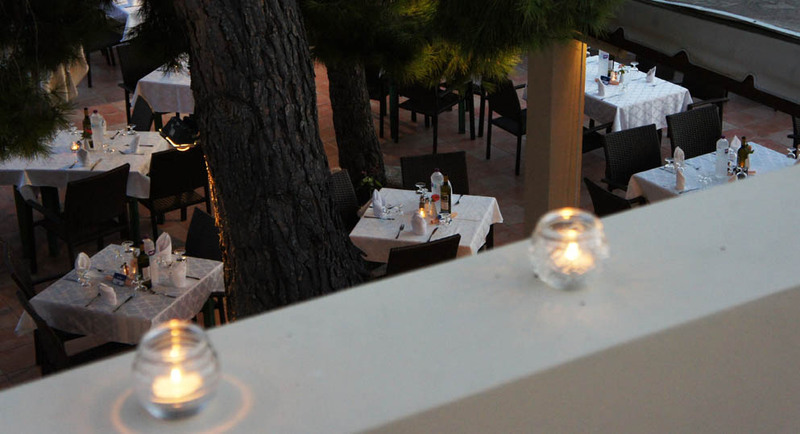 Dining options include a rooftop restaurant, poolside bar and snack bar. 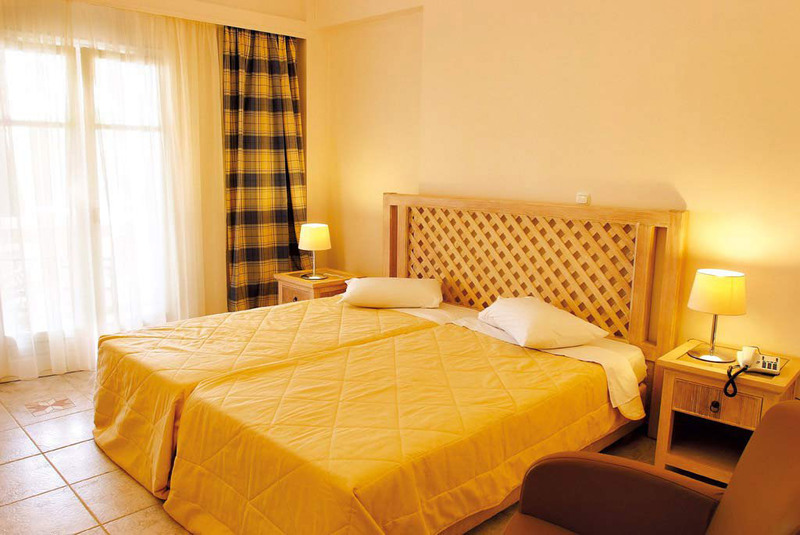 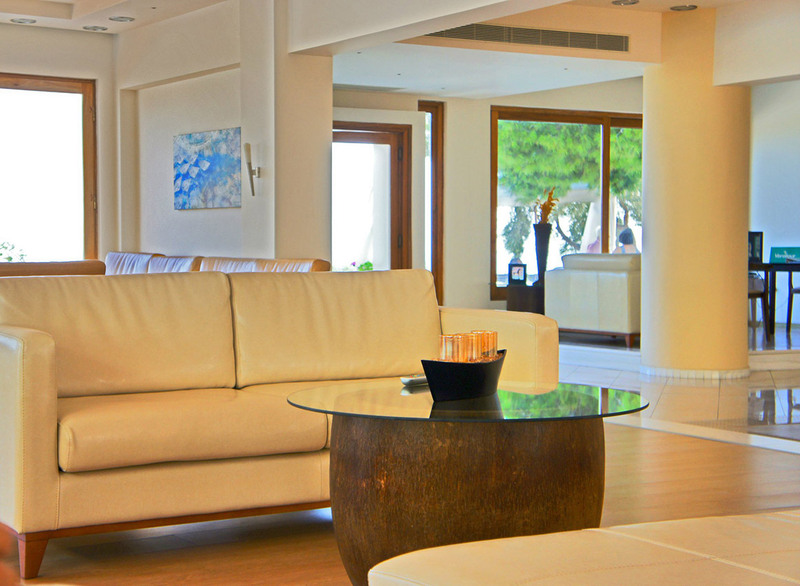 Fitted with light wood furnishings, all air-conditioned rooms and suites open to a balcony, some with Aegean Sea view. 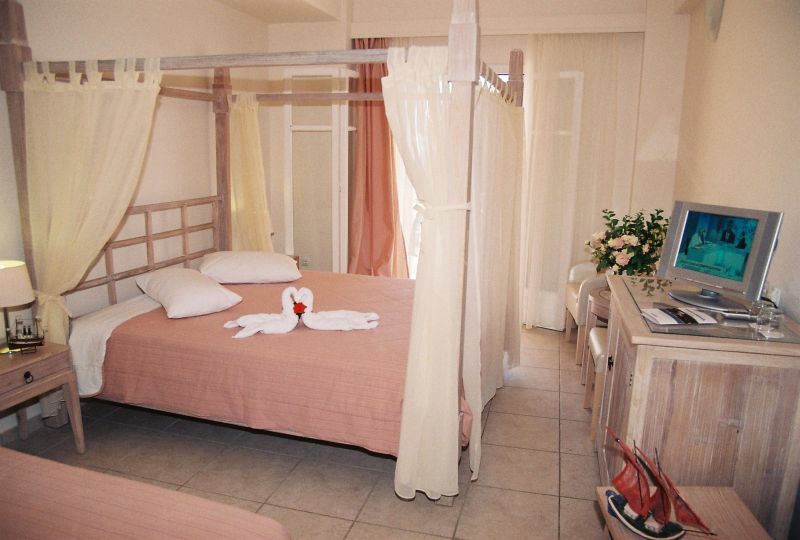 Each has a satellite TV, mini fridge and free toiletries. 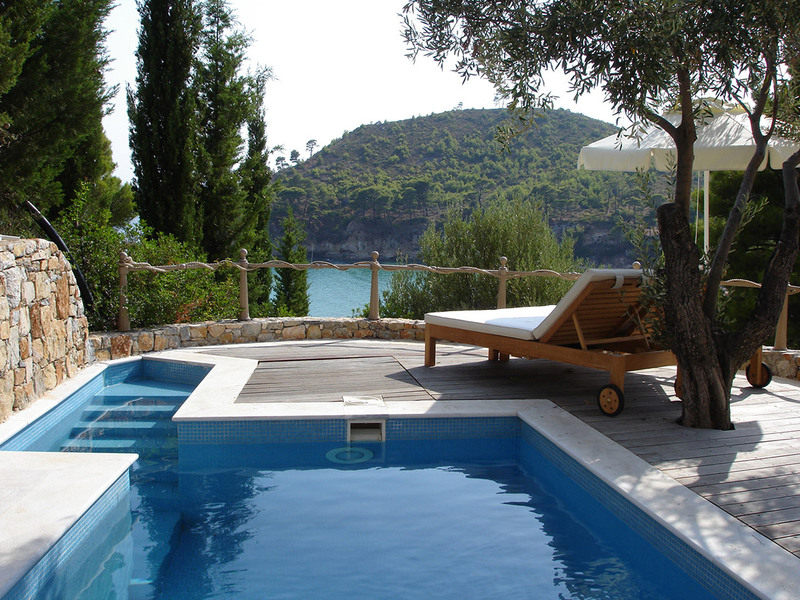 Some also offer a private pool or outdoor hot tub. 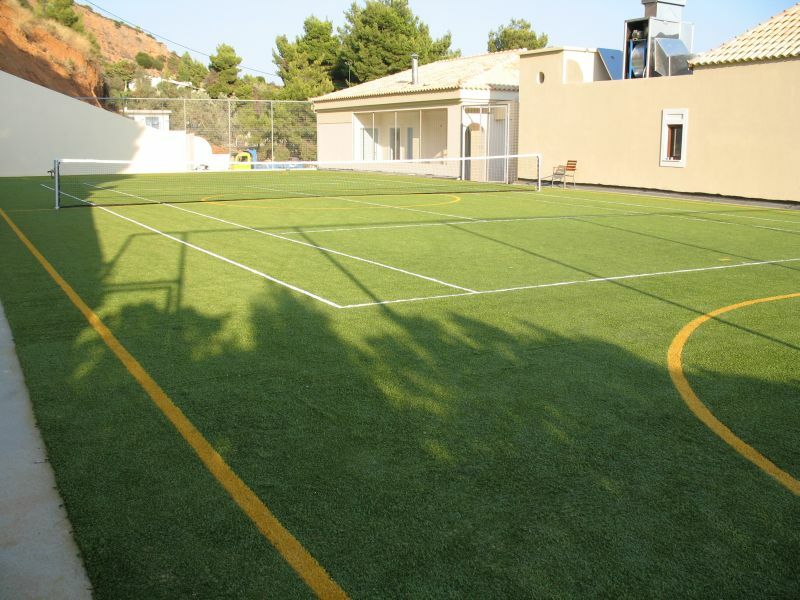 Sport facilities include a 5×5 soccer field, well-equipped gym and games room with billiards and table tennis. 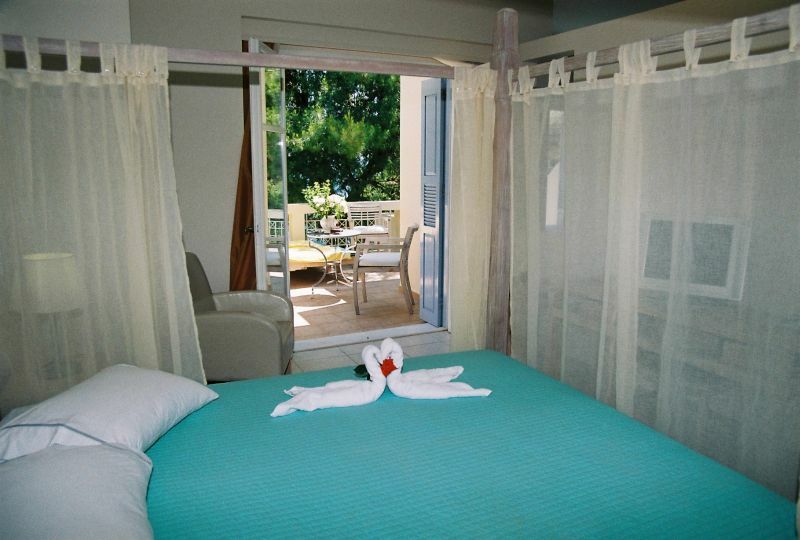 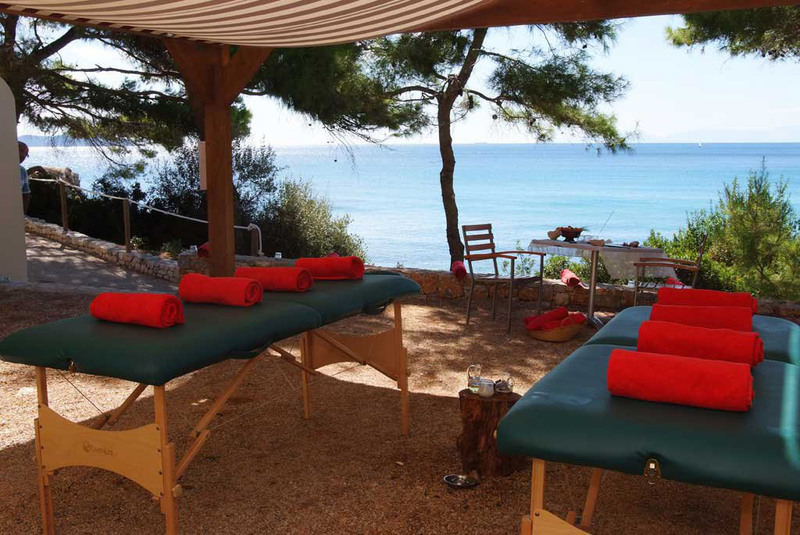 Guests can spoil themselves with a massage treatment, steam bath or sauna. 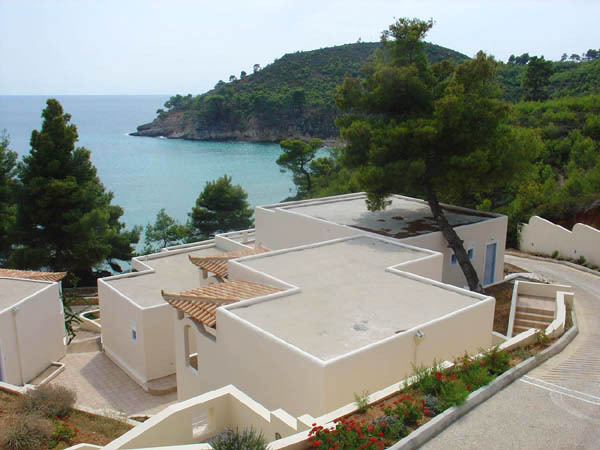 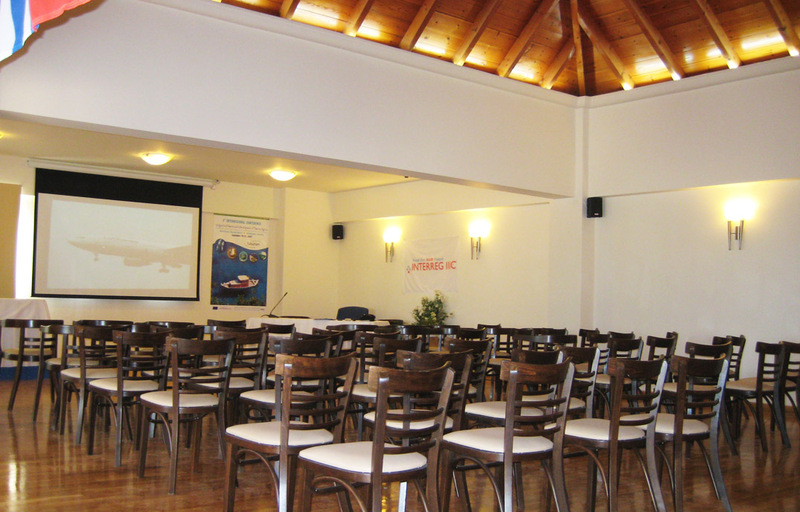 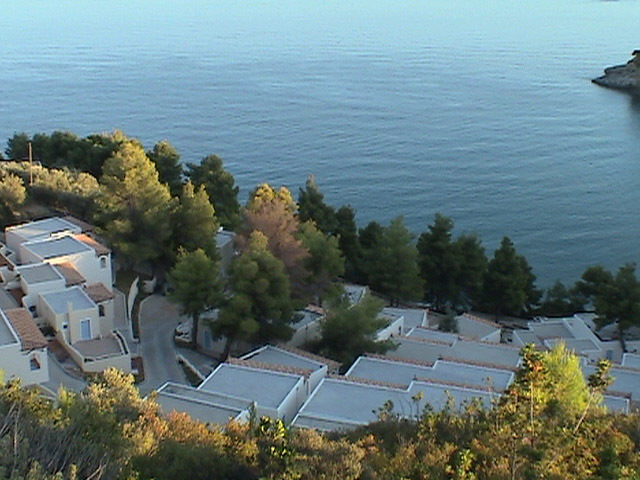 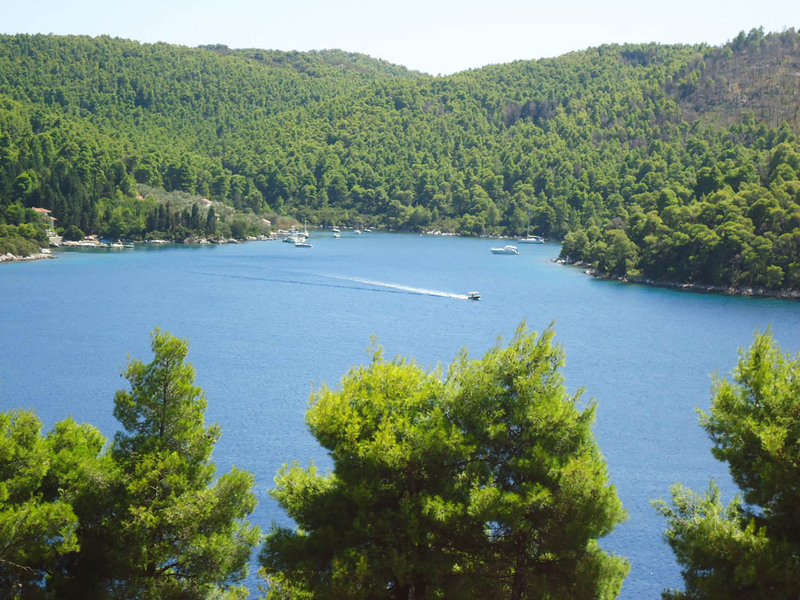 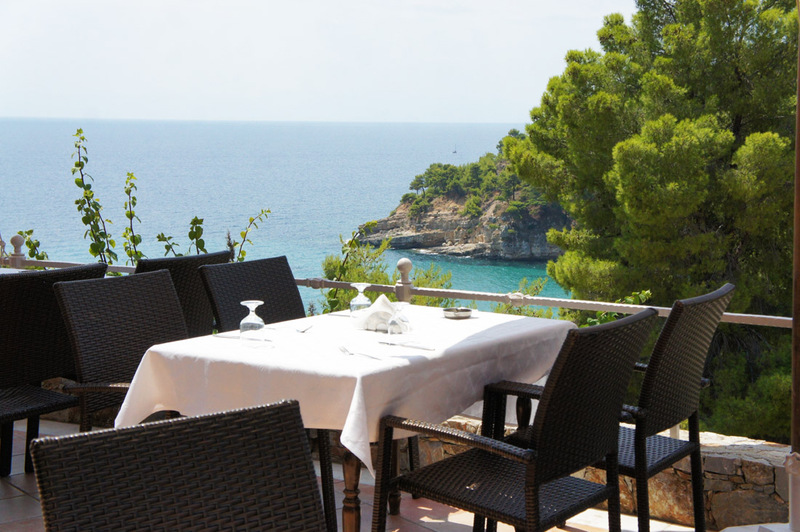 The hotel lies 4.5 km from the main town and port of Patitiri and 5.5 km from the picturesque Palaia Chora. 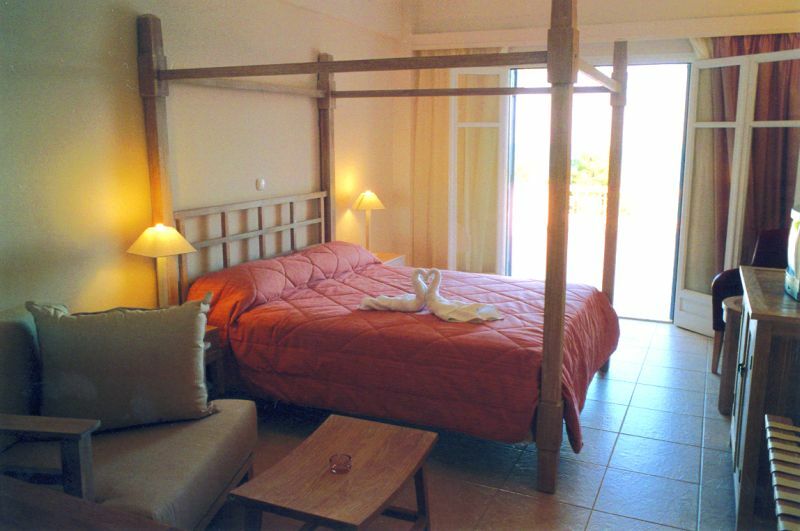 Room Facilities: Balcony, Sea view, TV, Telephone, Satellite Channels, Air Conditioning, Desk, Free toiletries, Bath or Shower, Refrigerator, Wi-Fi.